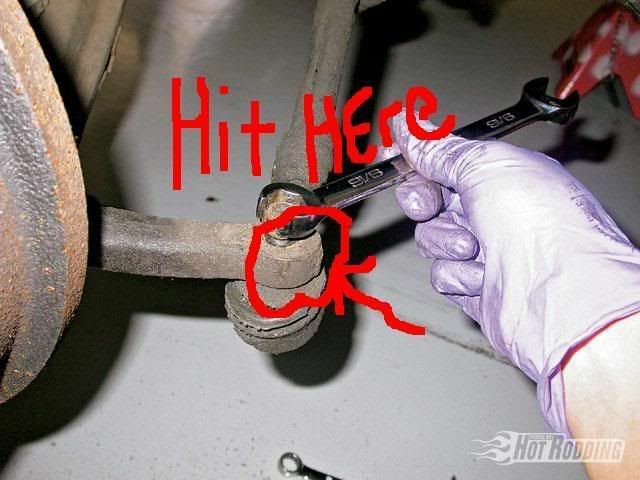 Like was said just smack the hell out of the spindle right next to the tie rod and and it will fall right out. I bet I havent had to smak one more than four times in the last ten years. Swing the hammer like you mean it. I use a Snap-On 32oz dead blow steel face and they fall out normally the first of second strike. I have yet to see a ball joint or tie rod end that wouldn't submit to a pickle fork and a 3# sledge. You could be the first, but I doubt it.